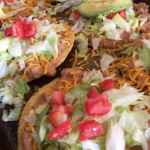 snack review – Get Cooking! 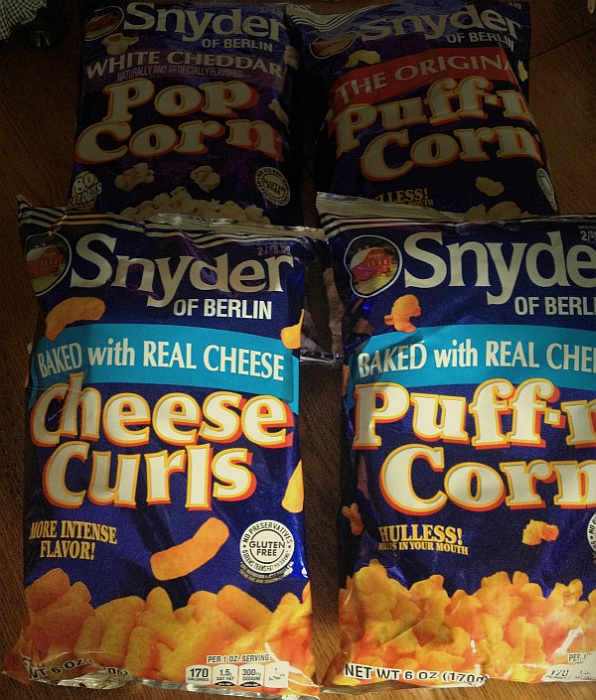 Snyder of Berlin (Berlin, PA) is a snack company with delicious chips, cheese snacks, and popcorn. They’ve recently introduced a new line of snacks – “Cheesy Fingers Good” – and I don’t know about you, but they had me at Cheesy. I was sent big, beautiful bags to review on the food blog and I’m delighted to do just that. Snyder of Berlin Cheese Curls. 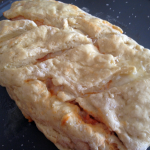 These delicious cheese curls are baked with real cheese, contain no preservatives, and are gluten free. Snyder of Berlin Cheese Puff-n-Corn. This (as well as the one that follows at number 3) was one of my favorites. 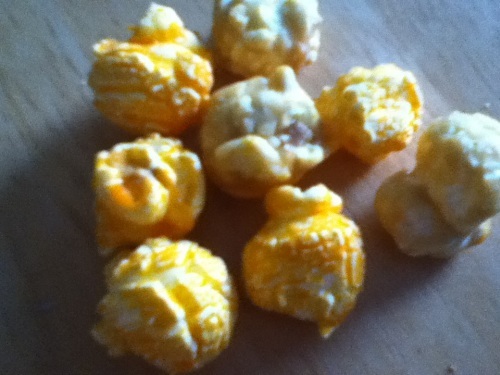 For whatever reasons, these “Puff-n-Corn” snacks are incredibly fun and addictive. Add that to uncommon deliciousness and we’re talking a brand new addiction here. Snyder of Berlin Original Puff-n-Corn. While not in the “cheesy” line, this is without a single doubt one of my favorite snacks in the world. As I said above, they’re fun to eat and most certainly qualify as addictive. SO GOOD! Snyder of Berlin Cheese Pop Corn. 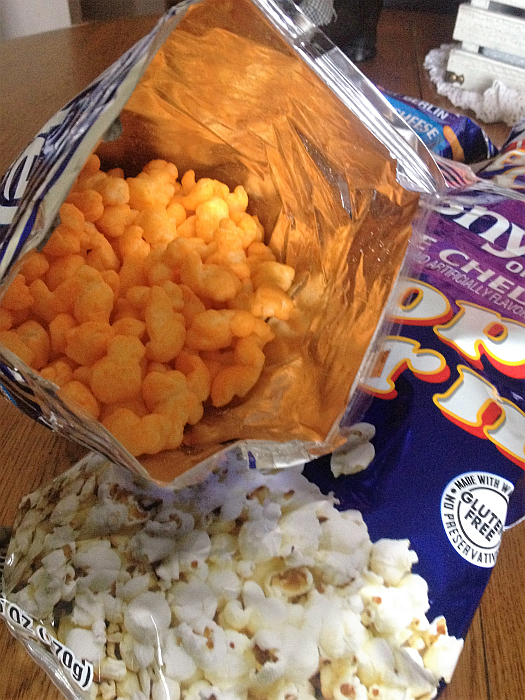 This is one of the best packaged cheese pop corns on the market. It’s also gluten free, so (thankfully) I can keep on keeping on. And I will! The “Fun for You” refreshed Cheese Snack line is made from a new cheese formula, and is the cheesiest ever, with 2 kinds of real cheese: Hearty cheddar and Tangy blue specially blended for intense deliciousness. These Snyder of Berlin reinvigorated snacks are now available in a variety of sizes. Now with “Facts up Front”, the new packaging design is bold, bright and features beauty shots of the irresistible snacks. Snyder of Berlin Cheese Curls are baked with real cheese, which is a secret blend of two kinds of cheese for an extra-intense flavor; additionally they are Gluten free, with NO preservatives and 0 grams of Trans fat. Snyder of Berlin Cheese Curls are available in a variety of sizes, with the best-selling 6 oz. size retailing at $2.50. Snyder of Berlin Cheese Puff-n-Corn is bursting with cheesy-licious flavor, and is made with two specially blended types of real cheese, offering a more intensely satisfying flavor. Additionally, the product is Gluten free, with NO preservatives and 0 grams of Trans fat. With a melt-in-your mouth quality due to the unique “hulless” quality, this snack is available in Original, Cheese and White Cheddar flavors. Snyder of Berlin Puff-n-Corn is available in a variety of sizes with the best-selling 6 oz. size retailing at $2.50. Snyder of Berlin Cheese Pop Corn has extra “cheesiness” in every bite, and is also Gluten Free, made with wholesome whole grains, and has NO preservatives. This popcorn is bursting with real cheese flavor and crunch, and has only 80 calories per cup. 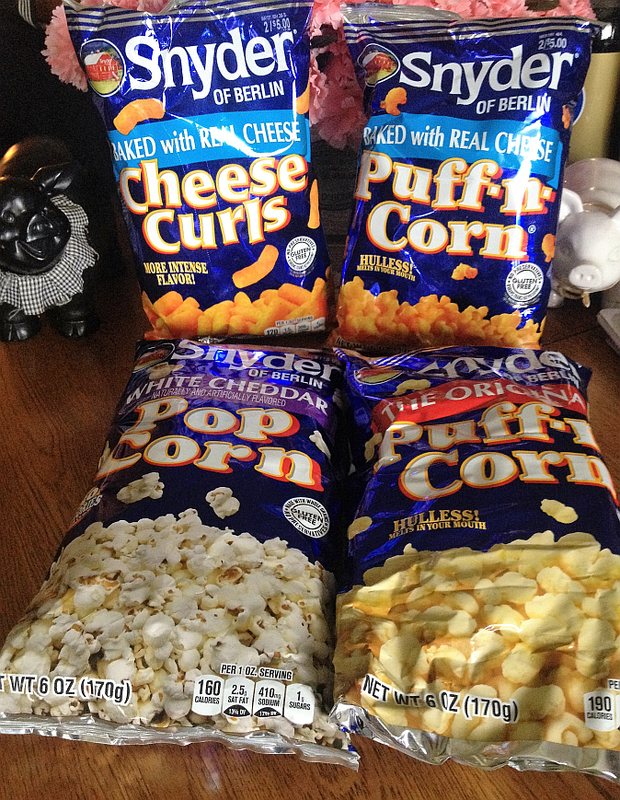 Snyder of Berlin Cheese popcorn comes in a variety of sizes with the best-selling 6 oz. size Cheese popcorn retailing at $2.19 and the 6 oz. size White Cheddar popcorn retailing at $2.50. Snyder of Berlin snacks have been made in the Laurel Highlands since 1947, and as the tagline touts: “Small town pride is crafted in every bag of Snyder of Berlin”. The Barn image next to the Berlin logo reminds consumers of the bucolic countryside throughout the Berlin, PA area. The products can be found in supermarkets, convenience, mass market, and club and specialty stores or purchased online at www.snyderofberlin.com. You’re going to love all four of these snacks, but if the Puff-n-Corn varieties become a full-on addiction, don’t say I didn’t warn you. 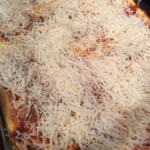 More Gluten Free Food Reviews and Food Reviews on Get Cooking. G.H. 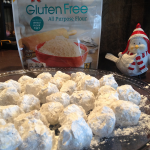 Cretors Popped Corn: Addictively Delicious, and No Gluten! The wonderful people at G.H. Cretors Popped Corn sent me bags of what can only be described as Popped Corn Heaven. Although they, in the process, created a couple of brand new addictions in my family, I am forever indebted to them for their kindness, generosity, and stoopidly delicious popped corn. I guess you can tell that this G.H. Cretors Popped Corn review is going to be a ridiculously positive one. 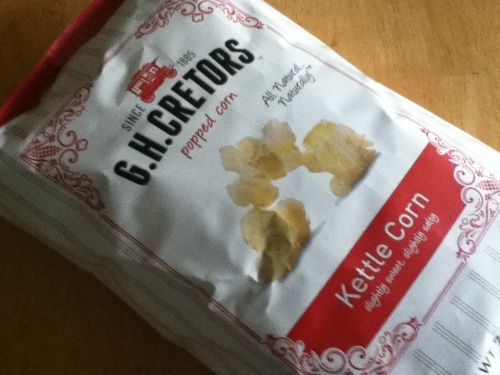 I’m a bit of a Kettle Corn addict, to begin with, so the first bag I tore into was the G.H. Cretors Kettle Corn. If you aren’t familiar with Kettle Corn, let me lay it on the line for you: Kettle Corn is what all popcorn would be if it had a choice. Kettle Corn is so additively delicious that you’ll find yourself going at it with both hands. G.H. Cretors has the best Kettle Corn I’ve ever tasted – and, believe me, I’ve been around the Kettle Corn block a million times. Okay, a billion times, but who’s counting? At times, while deliriously throwing in G.H. Cretors Kettle Corn in, I forget to breath – let alone chew. At one point, my husband (a new Kettle Corn addict – unaccustomed to its power) handed me the bag and told me, “Put it away before I kill myself.” Oh I put it away all right. Today we make our Kettle Corn just like Great Grandpa did – with four simple, natural ingredients: popcorn, sunflower oil, cane sugar, and sea salt. That’s all it takes to bring you the perfect combination of sweet and salty – the tastiest fluffiest popcorn – with a little surprise in every kernel. From our kitchen to yours, enjoy! Equally delicious is G.H. 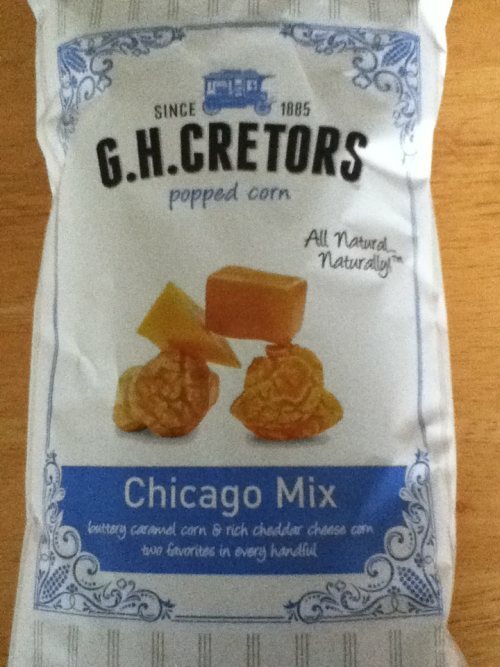 Cretors Chicago Mix Popped Corn. Hold onto your seat for this one. This is a delicious mixture of Cheddar Cheese popped corn and Caramel popped corn. My youngest daughter Stephany loves this particular variety so much I seldom see her without a bag in hand. I can’t blame her, whatsoever, because this mix is out of this world. Although I’m obsessed with cheese popped corn, oddly enough I’ve never been much of a caramel popped corn fan. For some reason it’s just too sticky for my taste. I realize that some people live for that sticky caramel texture, but I’m not into it. I was THRILLED that G.H. Cretors caramel popped corn doesn’t have that traditional stickiness. Somehow it keeps all the caramel flavor without making your teeth feel sticky and weird. I love it for that. Today we make our Caramel Corn just like Great Grandpa did- in old-fashioned copper kettles, one batch at a time. Then we mix it up the Chicago way, with our rich, creamy, Aged Cheddar Cheese Corn to create the perfect combination of Sweet and Salty. You don’t even have to come to Chicago to try this special treat. 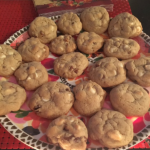 From our kitchen to yours, enjoy! Each of these varieties should come with warning labels – these people know their popped corn like no one else. In addition to Amazon, G.H. 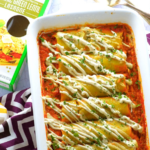 Cretors is available in many stores across the U.S. We don’t have any such stores in my area, so Amazon will be my source of deliciousness. Click HERE for the store locator. G.H. 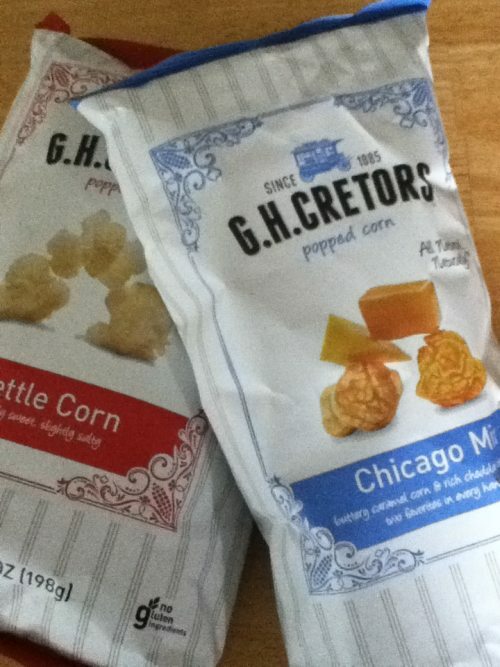 Cretors Chicago Mix: Cheddar Cheese Popped Corn and Caramel Popped Corn: Unbelievably delicious!